If you have ever looked up at the sky and saw shooting stars, then you witnessed meteoroids entering the Earth’s atmosphere. Often small, meteors form from a comet that circles the sun in an askew and elongated orbit that zips past Earth and other planets. Since a comet consists of ice, dust and other space particles, when it passes the sun it begins to release gas as ice, and particles start to melt off its surface. This debris of gas and space rock gives-way and detaches from the comet, forming what we refer to as a meteoroid. When a meteoroid journeys through Earth’s atmosphere, it begins to heat up. This makes the meteoroid and air around it very hot, creating a trail of light – what we call a shooting star. If meteoroids burn up in the Earth’s atmosphere, they are called meteors. If the meteoroid reaches the ground, then we refer to it as a meteorite. However, most meteoroids are no larger than a boulder and dissipate before they reach our surface. To view a meteor shower with optimal results, you’re going to need a bit of coordination. As long as you have a dark sky, an open area and the right date for when the shower should occur, then you’ll be set. It’s important to note that while scientists and astronomers can predict when a shower will happen, meteors often have a mind of their own. So don’t worry if you don’t immediately see strings of light across the sky. Check out the best time to view a meteor shower via the American Meteor Society (AMS). To view the dates of all 2016 meteor showers, click here. The following five areas in Texas are designated Dark Sky Places by the International Dark-Sky Association. These locations are either Dark Sky Communities (legally organized cities that adopt quality lighting ordinances and undertake efforts to educate residents about light pollution) or Dark Sky Parks (public or private spaces protected for natural conservation that provide dark sky programs and implement quality outdoor lighting). Nestled between a bend in the Rio Grande along the border of Mexico, Big Bend National Park is the largest protected area of Chihuahuan Desert ecology. With sea fossils, desert landscapes and absence of light pollution, the park offers a prime position for viewing shooting stars. As a Dark Sky Park, Big Bend has some of the darkest skies in North America thanks to its distance from any urban environments. 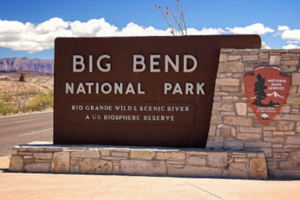 Big Bend has lodging and camping, so grab your backpack and plan your overnight adventure. 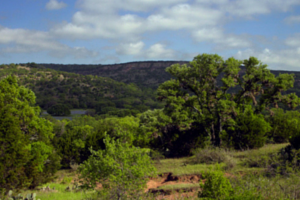 As a Dark Sky Community, the city of Dripping Springs has an affinity toward the sky. With its close proximity to Austin and San Antonio, it was worried light pollution could interfere with the area’s dark skies. In 2014 it became a designated Dark Sky Community, but the surrounding unincorporated areas are also subjected to the city’s lighting ordinances. 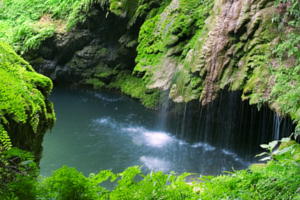 If you live in the area or if you’d like to take a trip to Dripping Springs, the city has many parks, such as Charro Ranch Park, for exploring the cosmos. With sites for tents and RVs, areas for backpacking and equestrian trails fit for relaxed riding, Copper Breaks State Park is an ideal spot for star gazing, relaxing and enjoying the great outdoors. The park is about 19 years old, and was designated a Dark Sky Park in 2014. Inside Copper Breaks are two small lakes and 10 miles of hiking/walking trails. 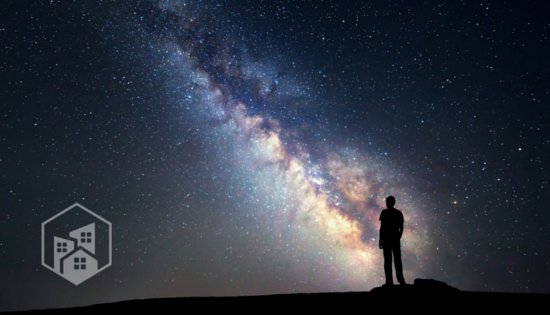 What makes this park a great spot for watching meteor showers are its Star Walks and astronomy programs hosted by Texas Parks & Wildlife Department. 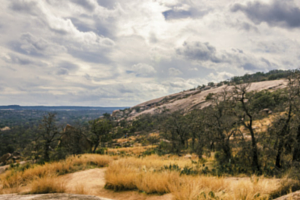 Famous for its pink granite dome at the Llano Uplift, Enchanted Rock State Natural Area is located 15 miles north of Fredericksburg. The Dark Sky Park was designated as such in 2014, but has hosted star parties for its visitors since 2011. Making this location a little more unique than most is its full history of Native American culture and folklore. Many tribes consider the pink granite dome to be enchanted, giving them spiritual powers. However, the area’s dark skies and natural landscape make the location a great place to view showers. Located off Lake Lyndon B. Johnson, a reservoir of the Colorado River, Horseshoe Bay is a designated Dark Sky Community. Originally, the city was a private resort but was incorporated in 2005 when more and more people wanted to call it home. The city is able to maintain its Dark Sky Community status thanks to the absence of streetlights (other than where critical to public safety) and big-box retail stores that often give off a great deal of light pollution. In addition, the schools in the city are not allowed to have sports lighting installations. 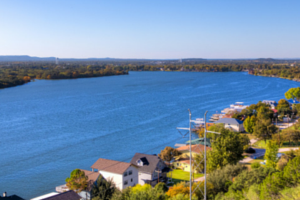 With a community that prefers natural conditions, Horseshoe Bay is one of the best places in Texas to view meteor showers.